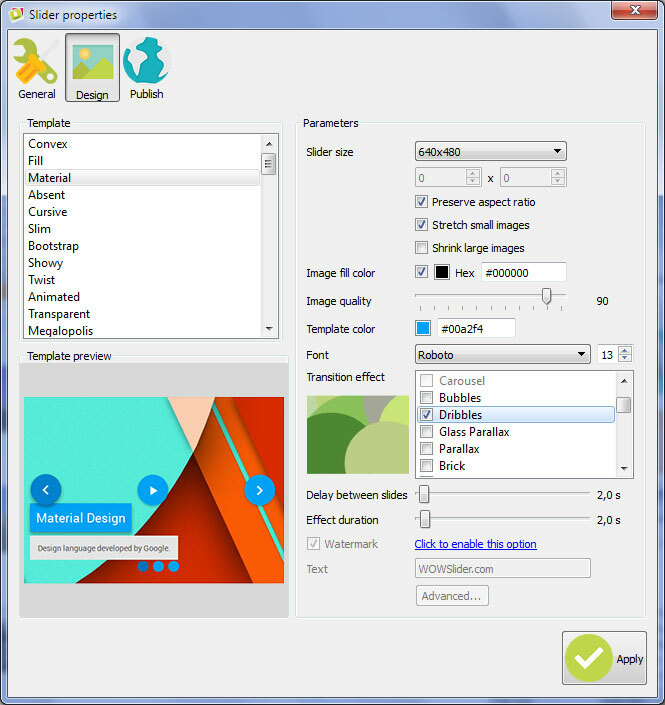 Open WOWSlider application. 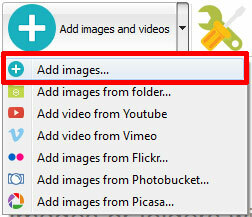 Then you should add your images: click on 'Add images and videos' --> 'add images'. Part 2 - Slider properties. 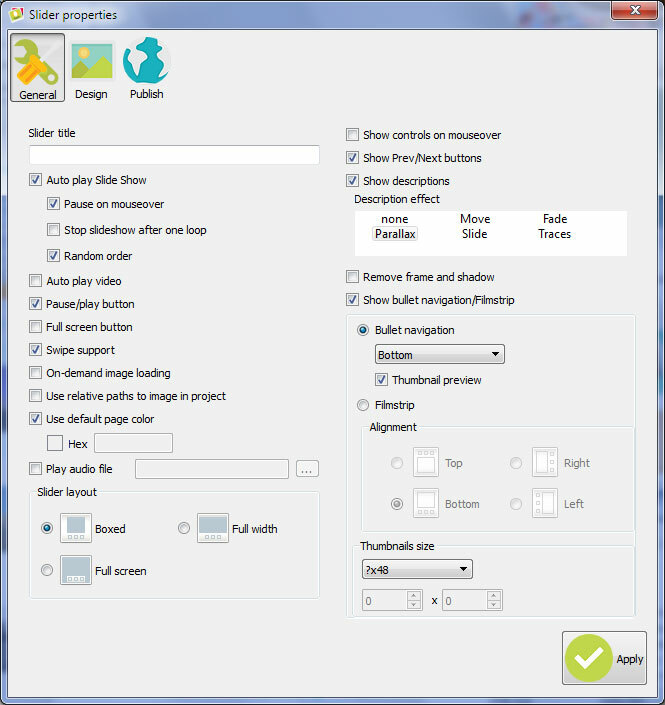 From the Slider menu, select Properties or use "Properties" button on the toolbar. Set the properties on the 'General' tab (title, controls, description, etc). Go to 'Design' tab. Choose a template and a transition effect here. Part 3 - Publishing of the WOWSlider. Finally go to the 'Publish' tab and select the 'Publish to folder' method. Click 'Browse' and choose the path for your slider. Then click 'Publish' button. Your slider is ready. 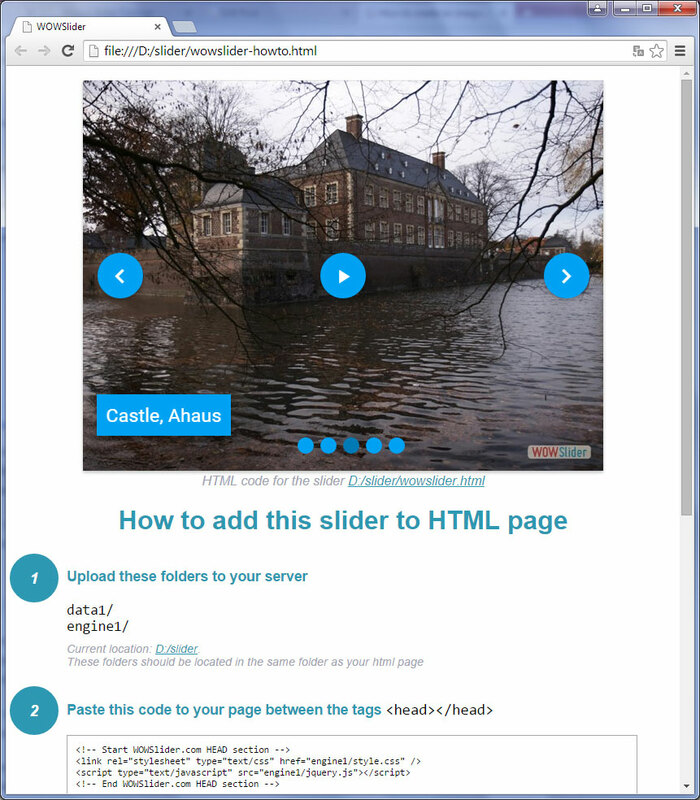 Follow the instructions on a 'HowTo' page to know how to embed the slider on your web page.